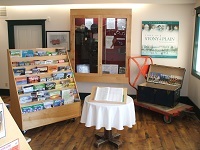 Visitor Information Center open year round. We are a Leader and Advocate for the Promotion of Business and Community. Through our general meetings and member events, we offer networking and promotional opportunities for businesses of all sizes. 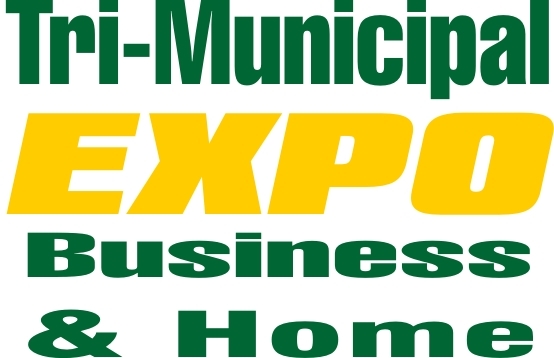 Our annual Tri Municipal Expo, community phone directory and on line business directory provides a variety of options and opportunity to advertise and promote local businesses. We celebrate and recognize successful businesses through our annual Awards Gala and regular business recognition visits. Become a chamber member and take advantage of all the savings membership provides, including group insurance, fuel and merchant savings, and more! From 48th Street, turn west on 44th Avenue (Tim Horton's). Drive straight south entering Rotary Park. 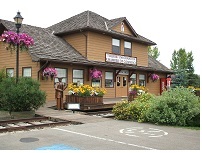 Chamber office and Visitor Information Center is located in the 'train station' in the park.